Fujitsu Tablet Tab Arrows F-01D LTE is waterproof tablet that provides its own uniqueness and advantages compared to other tablets. "Arrow Tab" This is a 10.1-inch tablet screen with 1280 × 800px that runs on Android 3.1 Honeycomb. 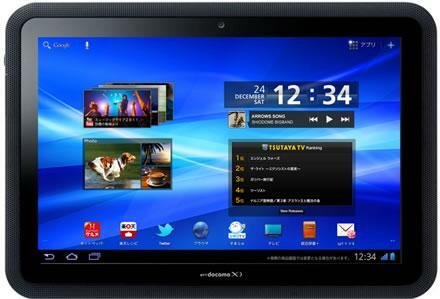 Fujitsu Tablet Tab Arrows will also use dual-core 1GHz TI-OMAP processor along with 1GB of RAM and 16GB of internal storage. There will also be rear-facing camera 5MP and 1.3MP front-facing camera with 1-seg TV tuner.